I think that most photographers would tell you that they began their photography journey with a passion for taking photos. While photography had been an interest of mine for a while, I’d be lying if I made that same claim. My passion for my art stems from the innate passion I have for life, for people, and for what knits us all together. I regularly sit in awe at how vast and complex our world is, while marveling at how it is also so very simple. Beside a complete stranger at a traffic light, I’ll wonder what their story is, who they are walking through life with, and what makes them tick…and then drive off fascinated that I will never know anything about them, and likely never see them again. I’ve always had that deep way of looking at things, but my perception of life transformed when I became a mother. I developed a new appreciation for life’s details, and saw the benefit of being still during the hours I spent watching them grow into their own skin. 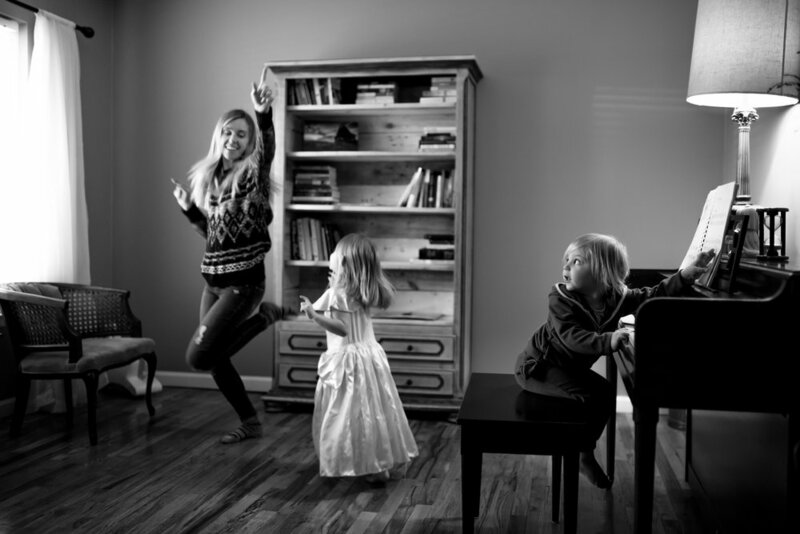 I tried to record everything; the chubby fingers gripping my index finger as wobbly steps were taken, the awkward and hilarious dance moves during our jam sessions in the family room, the scent of my oldest’s hair as we snuggled on the couch reading for the afternoon…even the imperfect moments, because they were a part of who we are. Through my own attempts to preserve our story, I grew to realize the value in helping others to do just that. I wanted others to see how radiant their story was—imperfections included—because it was who and what they were. I wished for them to feel each stitch, each detail, of their masterpiece, so they could understand how significant the little moments truly are. But most importantly, I wanted them to be able to relive the chapter of their story that I would help them tell over and over and over again. 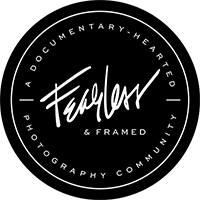 My passion for documentary photography, for storytelling through photographs (and words—because truthfully, I love to write!) was born there. And the journey to this name that would represent my passion, my art, and my mission came along the way. I love it because it is so true. Our brokenness is so significant; without it, we cannot grow or learn. But as much as I appreciate the cracks that allow the light in, the thing that really pulls my heartstrings is the moment the light enters. That moment is the moment we feel, the moment we change, the moment we let love reach the innermost part of our hearts and souls, the moment a story begins. And that moment, the one When the Light Gets In…that is where my passion for photography truly matured and became what it is today.